“As I mentioned in the other email to you, I spent about 5 weeks in India (Dec 18-Jan 22); it was a very productive trip. I gave 10 talks in different colleges in different parts of India. Except for 2 talks (each for 20 minutes), the other 8 talks ranged from 2 to 4 hours. 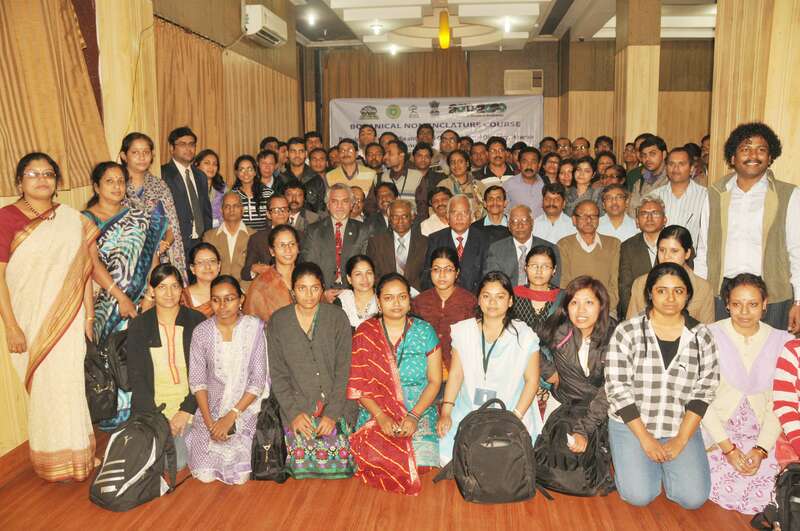 Six of these talks were on sustainability and the remaining four were general in Botany. The attendees were pleased. 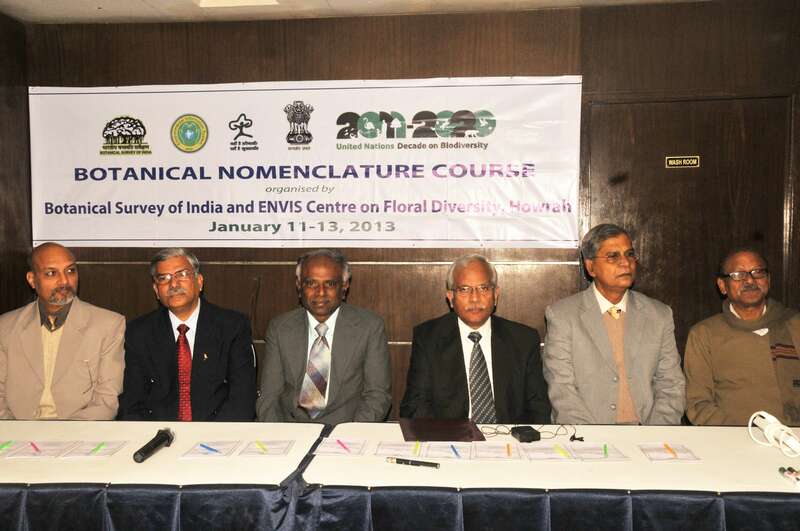 This entry was posted in Events and Appearances, Friends and Family and tagged Botanical Nomenclature Course, Botanical Survey of India, Harvard University Herbaria, Kanchi Gandhi, Professor Kanchi Gandhi on April 18, 2013 by Kim Smith. So many, many thanks to my former botany professor, Dr. Kanchi Gandhi, who sent my BomBom Butterflies video to many of his colleagues, friends, and students. My video is getting a growing number of hits in India! I loved every second of Doctor Gandhi’s class and wished often I could be his full time student. 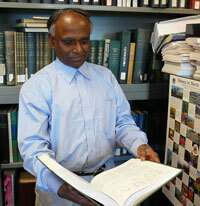 Professor Gandhi’s classes are held in the Harvard University Herbaria, with more than 5 million plant specimens. Along with its library, the Herbaria forms the world’s largest university owned herbarium. 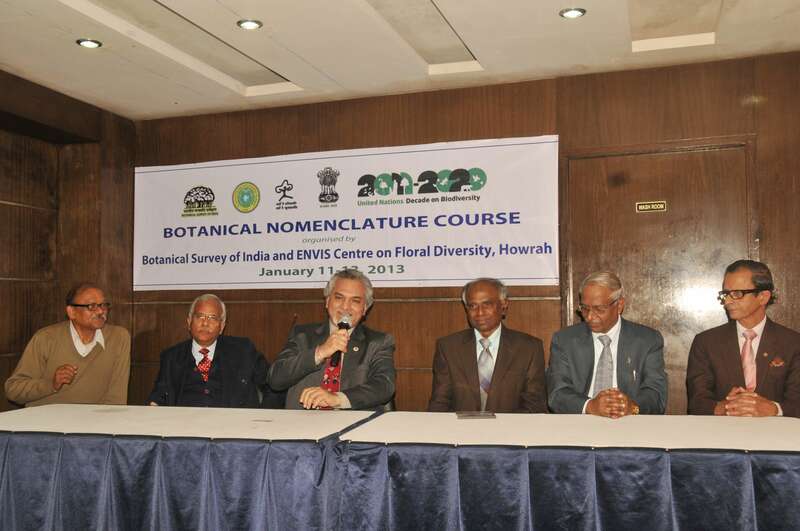 Doctor Gandhi’s interests are in the areas of plant nomenclature, plant morphology, and plant taxonomy. He is currently working on the International Plant Name Index, the HUH lookup tables, and Flora of North America project. 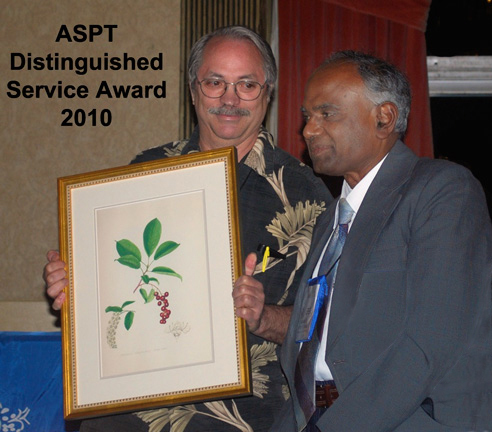 In 2010 he was awarded the American Society of Plant Taxonomist Distinguished Service Award, which is only given occasionally and reserved for individuals who have made exceptional efforts for ASPT or the plant-systematics community in general. 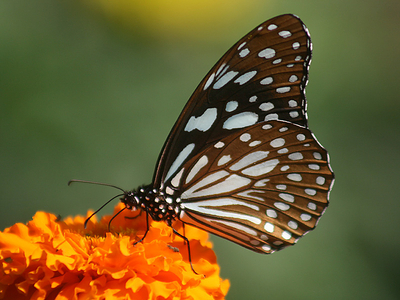 India is a country rich in flora and many species of butterlies. A beautiful Indian butterfly we on Cape Ann may find particularly interesting is the Blue Tiger Butterfly (Tirumala limniace). It bears a striking resemblance to our Monarch Butterfly (both members of Nymphalidae, sub-family Danainae, or Brush-foot Family of butterflies) with the clearly defined mitten-shaped cell on the underside of the hindwing. And like our Monarch caterpillars, Blue Tiger caterpillars generally feed on the milkweed family of plants (Asclepiadaceae). Another similarity is that the Blue Tiger migrates through Southern India, although the distance traveled is not quite as long as that of the Monarchs. This entry was posted in Film, Friends and Family, Home and Garden, Lepidoptera ~ Butterflies, Skippers, and Moths, Native Plants, Videos and tagged Black Swallowtail Butterfly, Black Swallowtail Butterfly life cycle, Blue Tiger Butterfly, BomBom Butterflies, India, Kanchi Gandhi, MACKLEMORE & RYAN LEWIS on April 8, 2013 by Kim Smith.